Hello San Diego! It’s always great to spend time with good friends. Over the years Bill and Leighanna Richards have been a big part of our lives. All 4 of us have been in each other’s weddings, but that’s the formal end of it. The memories we’ve shared, the times visiting each other, the camping, etc has been such a blessing in our lives. After catching up a bit we went to one of the nicest restaurants in San Diego, it’s on the roof of a Lexus Dealership. Great views, excellent customer service and incredible food! The next day was spent aggressively working to put things in order in our new home. We spent ALL day unpacking, organizing and putting things up on walls. 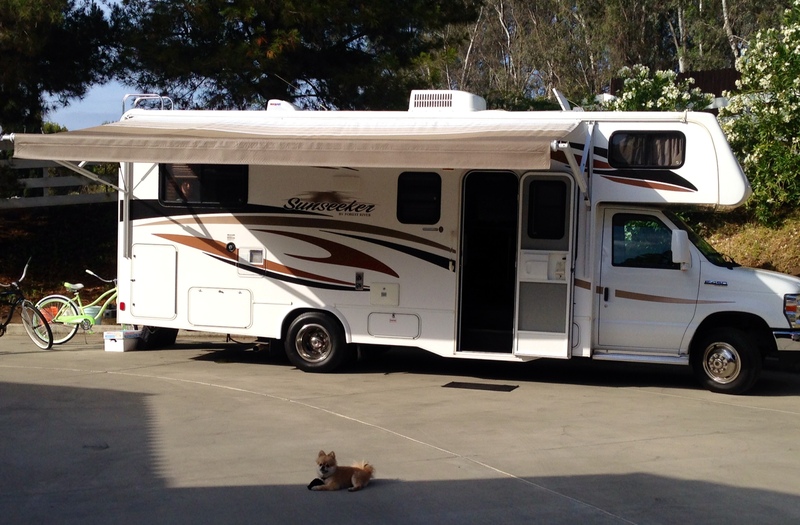 We bought the RV with extra storage space and it really worked out well for us. We were able to fit all my toys (surfboard etc) and still have room for all the practical things of everyday living. Bill has some weights at his house so I put in my first workout on the trip. 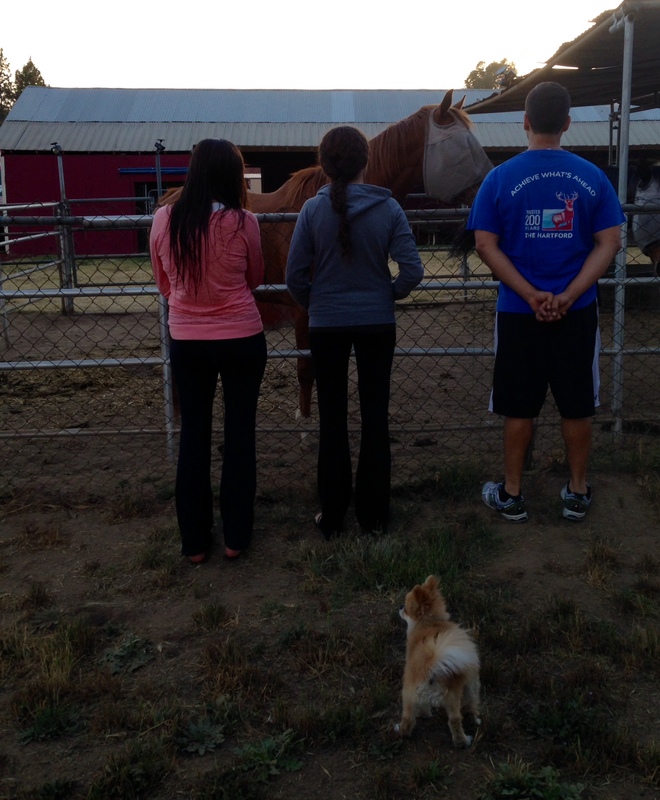 After we all worked in the day we all took a walk down the street and checked out the neighbor horses. We had an incredible view of the hills outside of the house and were able to hook up to power and wifi from the house. We extended our stay because we realized setting up a house on wheels is going to take longer than expected. great hosts and we had everything we needed from laundry and even the occasional meal! It shore was nice to have Bill bring out morning coffee to us since our coffee pot was in a box somewhere. 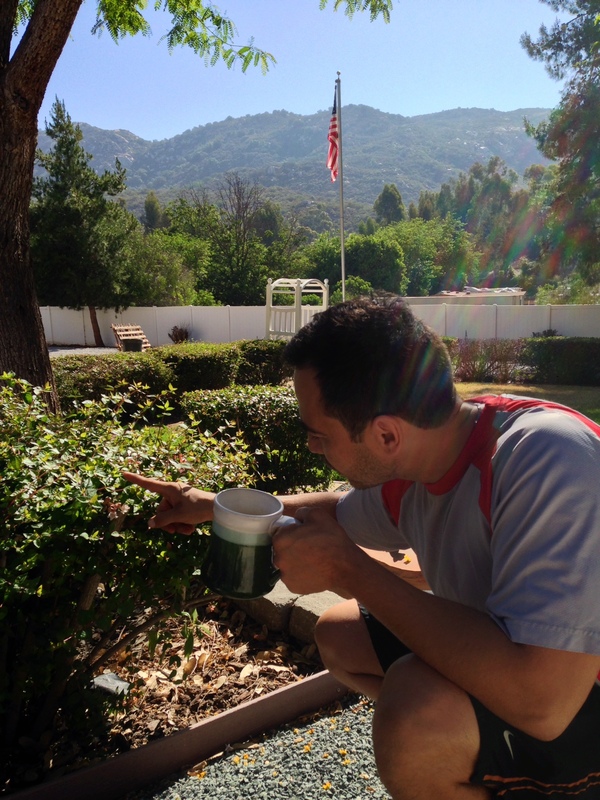 To be able to enjoy the morning view with my wife, coffee and dog was a great way to start the day. Bailey (the traveling pomeranian) loves pulling my socks out and playing with them in the driveway.